Situated in the Cafler Park Rose Gardens, Whangarei Youth Space is a lively hub of activity - a safe space for the youth of the city to come together, share ideas, and be themselves. Volunteers are wanted at the space to act in a support role, helping with assisting activities, doing admin, and generally working as part of the team. There is a wide range of different opportunities for volunteers. The Youth Space is an integral part of the community, located both in the heart of the city and the heart of its people - providing health services, activities, and support for education, training and employment to the young people of Whangarei. Whangarei Youth Space attracts around 5500 visits annually, and provides 1600 health consultations. The space opened in 2014 in response to a need identified by the youth of Whangarei, and the wider community, for a welcoming youth-focused space in the city. Ryan Donaldson is one of the initial founders of the space, saying that ‘it’s the kind of thing he wanted when he was younger.’ He feels that it is ‘his duty’ to help the young people of the community, and provide the future generation with the support they need in order to grow into their best selves. 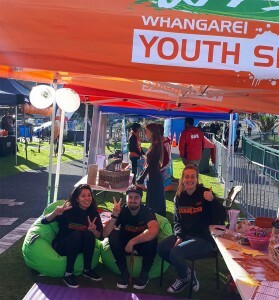 For information email Volunteering Northland at info@volunteeringnorthland.nz or go talk to the friendly Youth Space team in the rose gardens, they are open Tuesday - Saturday. You can also email them at contact@youthspace.co.nz.